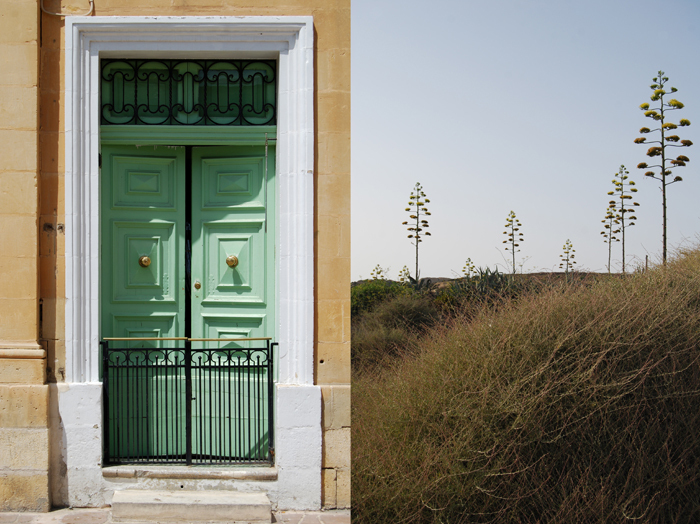 My Maltese summer is coming to an end and the next couple of posts will be the last ones from the islands, on Saturday I will continue writing from my Berlin kitchen again! Till then I will share a few more of the special places that I have fallen in love with over the years. I will tell you about some of my favourite spots which I haven’t mentioned yet and tease you with a few more photos of my beloved Mediterranean sea! 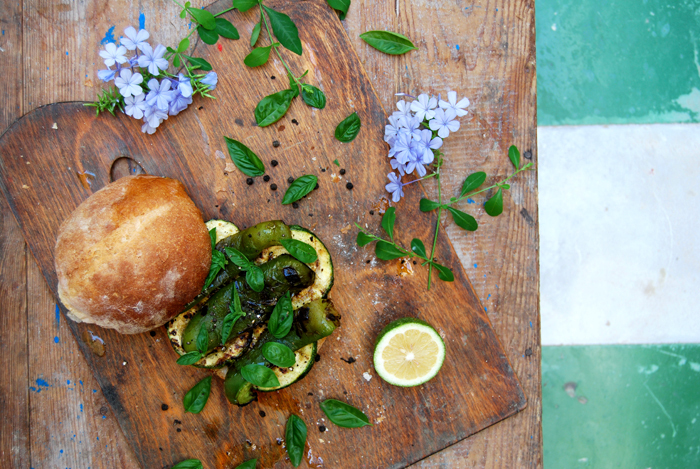 Before I start my list I will show you my perfect summer sandwich, a sourdough bun soaked with lemon oil and filled with grilled green bell pepper and slices of zucchini. I sprinkled the smokey vegetables with some fresh basil leaves, flaky sea salt and crushed black peppercorns to add a little spiciness. 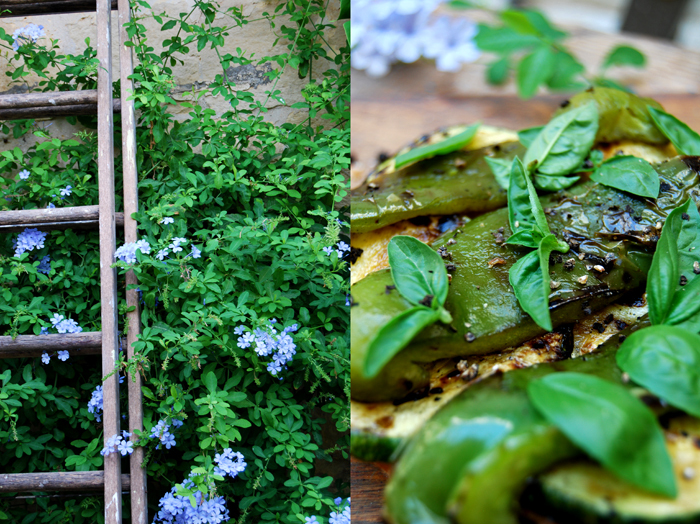 The bell pepper and zucchini are at the peak of their season at the moment, full of ripe green flavours! 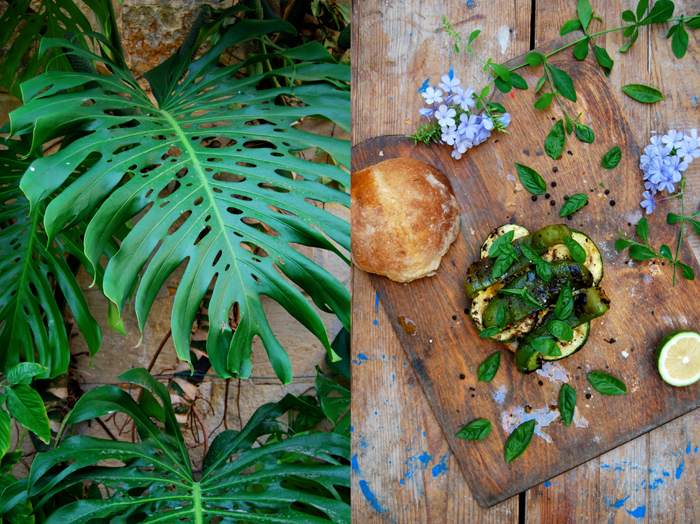 The composition was so light and juicy, almost fruity, I could have eaten two of them! 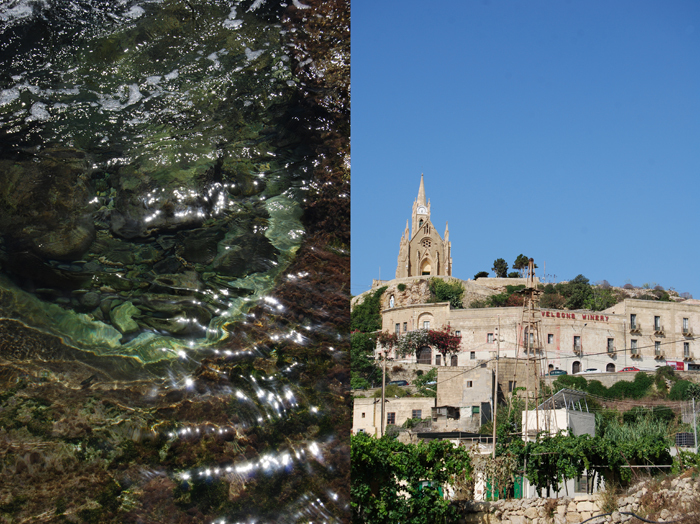 We leave Malta on the ferry very early in the morning and reach Mgarr harbour after only 25 minutes as the channel between the islands is just 6km (4 miles) wide. I always spend the journey on the top deck in the front of the boat as the view is stunning! 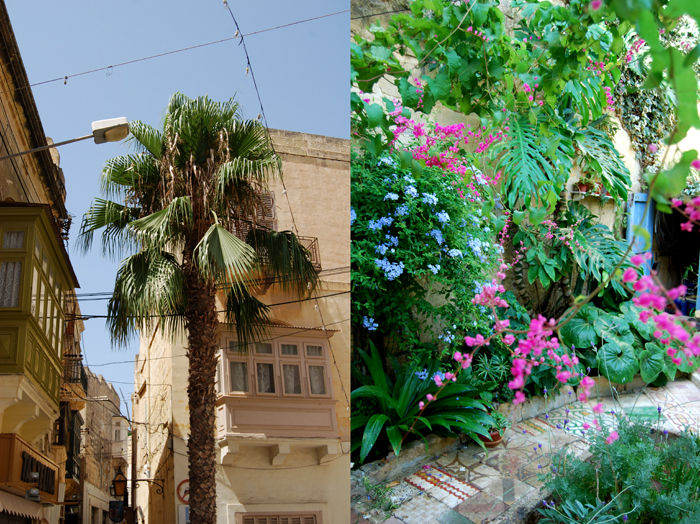 When we arrive we drive straight to our apartment or farm house which doesn’t take too long as Gozo is just 14 x 7 km (9 x 4 miles)! 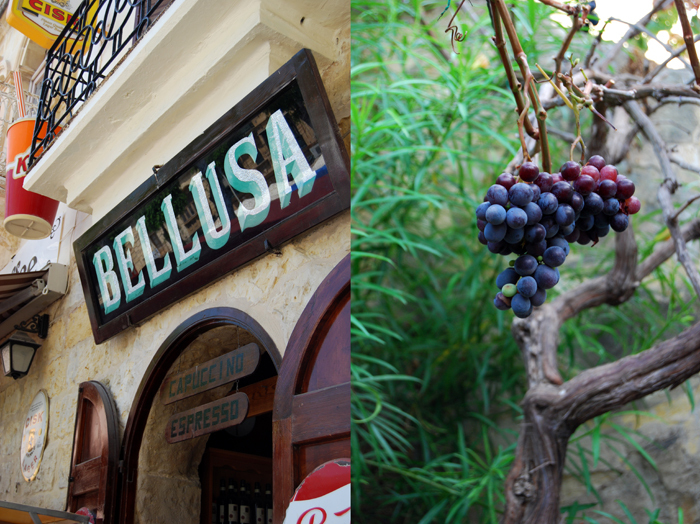 We often start our day with a cappuccino, a couple pastizzi and a piece of chocolate fudge cake at Bellusa in the capital Victoria (also known as Rabat). Joe Bugeja runs this café at the main piazza, he took over from his father who opened this pretty little place in 1960 and since then you can see him at the café taking care of the orders every day. For lunch or dinner we like to order pizza or Maltese Ftira at Maxokk Bakery, a take away bakery with an oven that is more than 100 years old! This family run business is famous for baking the best pizza on the islands. You should always give in your orders a few hours in advance (maxokkbakery.com)! We often enjoy the pizza at sunset right above the San Blas Bay on a bench in a little park. My favourite restaurant on the island is on a beach, at Mgarr ix-Xini, it’s called Rew Rew. 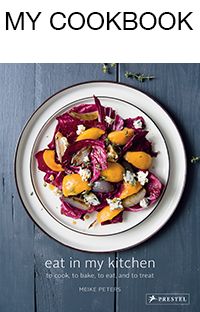 Noel, the owner, is famous for his delicious fish and seafood dishes. Normally, the restaurants opens just for lunch but unfortunately, it’s closed this summer due to filming taking place in the bay. 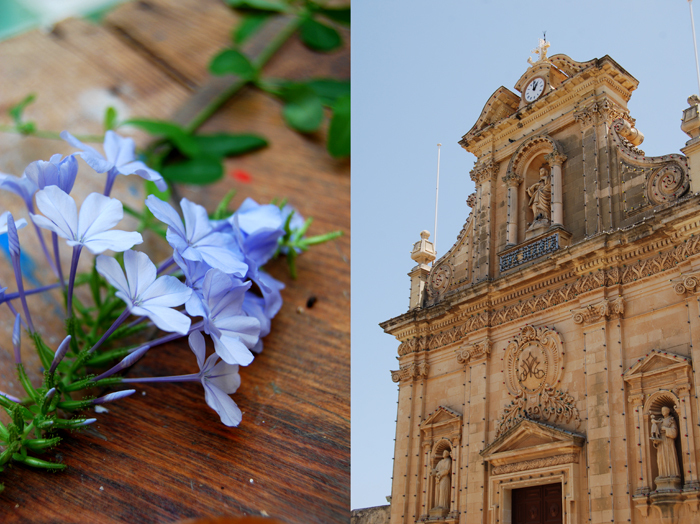 For dinner, I can recommend Tmun in Mgarr, Tatita’s in San Lawrence and Oleander in Xaghra and for my last pastis on the island I love to sit on the balcony of Gleneagles Bar in Mgarr, right at the harbour! 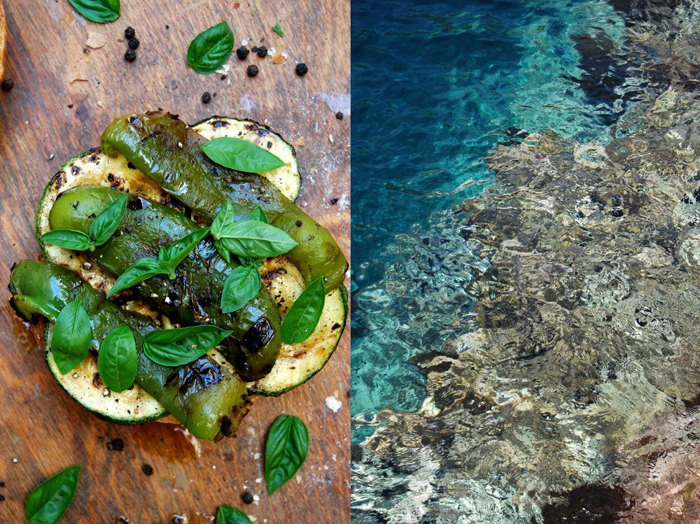 Brush the bell pepper and zucchini with olive oil and grill until golden brown. Whisk the olive oil and lemon juice and brush the inside of the buns with it. 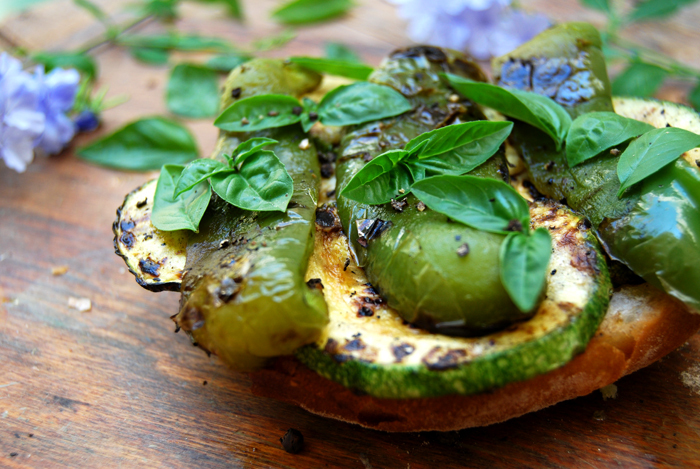 Spread the grilled zucchini slices, bell pepper and basil on top and sprinkle with salt and pepper, close the bun and enjoy!